“I am elated that this has finally come to fruition, no pun intended,” said the attorney representing the homeowners. In 2006, after hundreds of millions of dollars and more than two decades, Florida officially ended its ambitious war on citrus canker. Final bills are just now coming due. This week, the state started paying tens of thousands of south Florida property owners who found themselves in the middle of the fight against citrus canker. Eligible Palm Beach County homeowners who had their trees cut down by the state will get a total of about $26.6 million and Broward County homeowners will see about $15.9 million. The payout is the result of class-action lawsuit first filed in the early 2000s by homeowners upset about what they saw as the state’s disregard for their private property. “I am elated that this has finally come to fruition, no pun intended,” said Robert Gilbert, a South Florida trial attorney who’s been involved with the lawsuits since they began. Starting in 1984, Florida’s government began its fight against citrus canker, a pernicious, foreign bacteria that causes citrus to drop from trees before it is ripe and sellable. From the late ’80s through the early ’90s, Florida’s leaders, fearing irreparable damage to a signature state industry, spent millions destroying affected or potentially affected trees. By January 1994, Florida Department of Agriculture officials thought they had eradicated canker. They were wrong. Canker was detected once again in Miami in 1995, so officials began the fight anew. Canker was such a big problem that at one point in 2001, according to the Orlando Sentinel, Florida tested a program to cure plants of the bacteria using “celestial drops” blessed by a rabbi. In 2000, the state enacted a drastic new measure requiring the destruction of any citrus tree within 1,900 feet of a plant affected by canker. That put hundreds of thousands of healthy trees on the chopping block. Among them were some 7,200 trees at private Hillsborough County homes, according to a 2012 Florida Department of Agriculture report. But the state focused its eradication efforts mostly on South Florida, where the canker problem was more widespread. Officials cut down hundreds of thousands of trees on private property in Florida’s largest counties, offering only limited compensation. The campaign enraged thousands of homeowners, Gilbert said. So with the attorney’s help, they filed class-action lawsuits against the Department of Agriculture in Broward, Palm Beach, Lee, Orange and Miami-Dade counties. After over a decade of court battles, the suits proved successful: Juries have awarded homeowners tens of millions from the state in every one of the counties except Miami-Dade. The legal battle there is ongoing. The Florida Legislature has not yet appropriated money for the Lee or Orange county settlements, but those sums are included in the Department of Agriculture’s proposed budget for fiscal 2020, a department spokesman said. The state stopped chopping down trees on private property soon after the legal battles over canker eradication began. The busy hurricane season of 2005 made canker, which travels on wind and rain, virtually uncontainable in the eyes of regulators. Today, citrus greening is seen by industry experts as a more immediate threat to Florida’s signature crop than canker. By early 2006, the U.S. Department of Agriculture pulled its support for the eradication program. 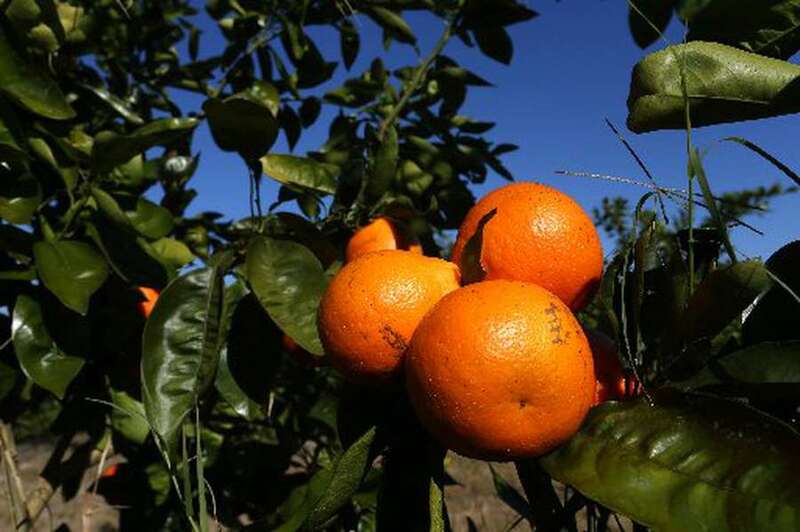 That decision was seen by some in the citrus industry — which also sacrificed thousands of acres of groves to the eradication effort — as a missed opportunity.